Temperate rain forest, the Olympic Mountain Range, and stunning beaches overlooked by awe-inspiring sea stacks all lie within Olympic National Park. Sole Duc Falls is one of the most beautiful waterfall I have seen. In this image I captured the falls from behind, showing the lush river gorge and Sol Duc River as it carries grayish green water from the glaciers on Mount Olympus. 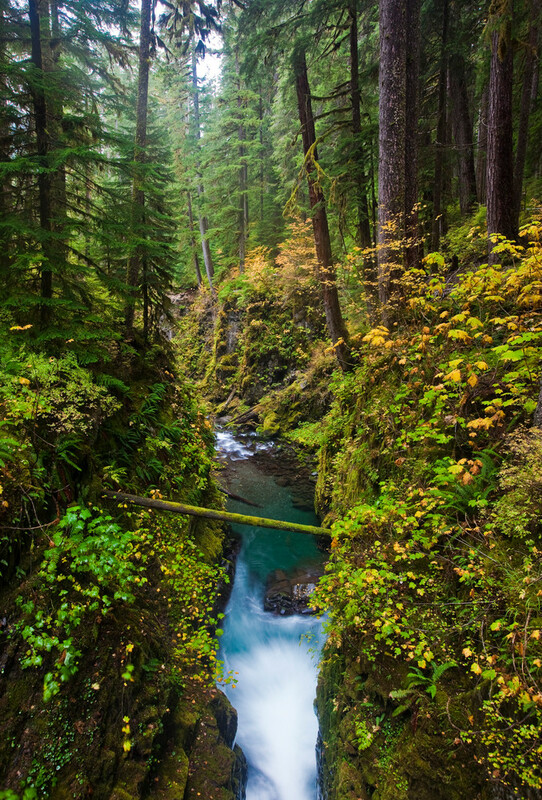 The lush rain forests of the Olympic Peninsula are the result of annual precipitation that often exceeds 150 inches.